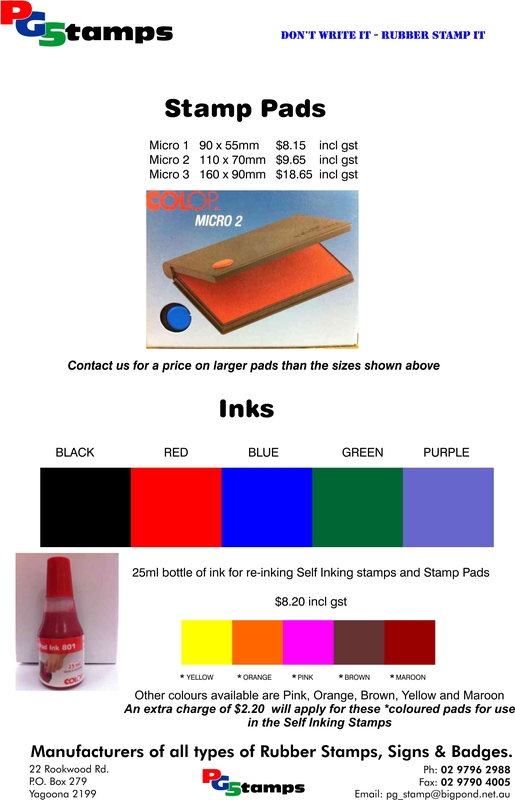 We have Stamp Pads and Inks available for use with your Hand Stamps and a range of inks and pads for use in the Self inking stamps. We have bottles of ink for re-inking the Hand Stamp Pads. 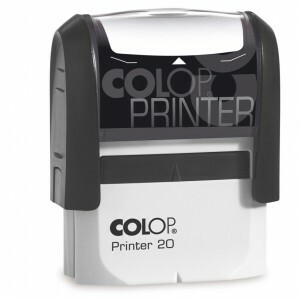 It is important to use the correct pads and inks to re-ink your Self Inking and Pre-Inked stamps. The Rubber Stamp pads and the Self Inking stamps use water based pads and inks where as the Automatic Numbering Machine and the Pre Inked stamps use an oil based ink. Incorrect use of the ink can reduce the life of your stamp rubber and machine. Pads that are already inked can be purchased for the Self Inking stamps. If you need ink for the Pre-Inked stamps you can purchase a bottle of ink. 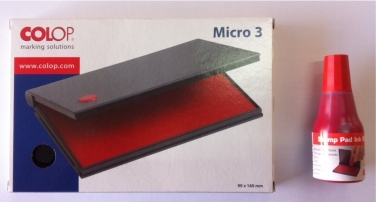 Place a few drops of ink in to the cartridge which is found under the handle. Contact us when your stamp impression starts to fade so we can ensure the correct pads and inks are supplied so you get the optimum impression from your stamp. To place an order or obtain a quote please email us from the link below.